From the Departments of Pathology (Dr. Edwards) and Medical Graphics (Mr. Hoamer), Mayo Clinic, Rochester, Minn.; and the Homestead United Methodist Church, Rochester, Minn., and the West Bethel United Methodist Church, Bethel, Minn. (Pastor Gabel). * Jesus of Nazareth underwent Jewish and Roman trials, was flogged, and was sentenced to death by crucifixion. The scourging produced deep stripelike lacerations and appreciable blood loss, and it probably set the stage for hypovolemic shock, as evidenced by the fact that Jesus was too weakened to carry the crossbar (patibulum) to Golgotha. At the site of crucifixion, his wrists were nailed to the patibulum and, after the patibulum was lifted onto the upright post (stipes), his feet were nailed to the stipes. The major pathophysiologic effect of crucifixion was an interference with normal respirations. Accordingly death resulted primarily from hypovolemic shock and exhaustion asphyxia. Jesus' death was ensured by the thrust of a soldier's spear into his side. Modern medical interpretation of the historical evidence indicate that Jesus was dead when taken down from the cross. The life and teachings of Jesus of Nazareth have formed the basis for a major world religion (Christianity), have appreciably influenced the course of human history, and, by virtue of a compassionate attitude towards the sick, also have contributed to the development of modern medicine. The eminence of Jesus as a historical figure and the suffering and controversy associated with his death have stimulated us to investigate, in an interdisciplinary manner, the circumstances surrounding his crucifixion. Accordingly, it is our intent to present not a theological treatise but rather a medically and historically accurate account of the physical death of the one called Jesus Christ. The most extensive and detailed descriptions of the life and death of Jesus are to be found in the New Testament gospels of Matthew, Mark, Luke, and John. (1) The other 23 books of the New Testament support but do not expand on the details recorded in the gospels. Contemporary Christian, Jewish, and Roman authors provide additional insight concerning the first-century Jewish and Roman legal systems and the details of scourging and crucifixion. (5) Seneca, Livy, Plutarch, and others refer to crucifixion practices in their works. (8,28) Specifically, Jesus (or his crucifixion) is mentioned by the Roman historians Cornelius Tacitus, Pliny the Younger, and Suetonius, by non-Roman historians Thallus and Phlegon, by the satirist Lucian of Samosata, by the Jewish Talmud, and by the Jewish historian Flavius Josephus, although the authenticity of portions of the latter is problematic. 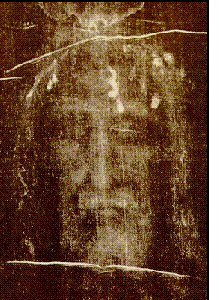 (26) The Shroud of Turin is considered by many to represent the actual burial cloth of Jesus, (22) and several publications concerning the medical aspects of his death draw conclusions from this assumption. (5,11) The Shroud of Turin and recent archaeological findings provide valuable information concerning Roman crucifixion practices. (22-24) The interpretations of modern writers, based on a knowledge of science and medicine not available in the first century, may offer additional insight concerning the possible mechanisms of Jesus' death. (2,17) When taken in concert, certain facts -- the extensive and early testimony of both Christian proponents and opponents, and their universal acceptance of Jesus as a true historical figure; the ethic of the gospel writers, and the shortness of the time interval between the events and the extant manuscripts; and the confirmation of the gospel accounts by historians and archaeological findings (26,27) -- ensure a reliable testimony from which a modern medical interpretation of Jesus' death may be made.